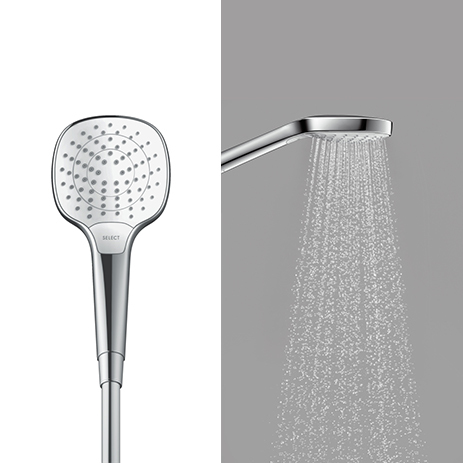 Switch intuitively to another jet type: With the Select button, all Croma showers benefit from added comfort and user friendliness. With this Croma Select range, you can offer each customer the individual shower experience they require. 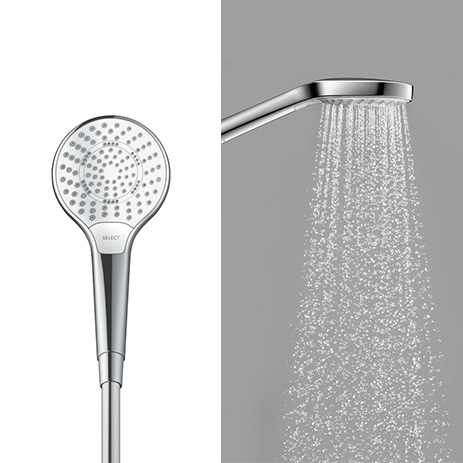 Each shower type is available in two designs (S + E). 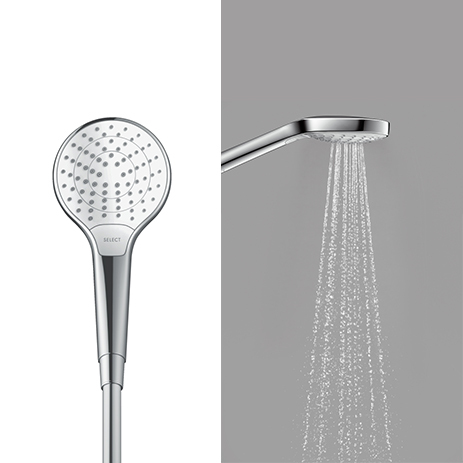 Croma Select 180 Vario overhead showers bring showering pleasure from above. With two rain jet types – balanced and intensive. 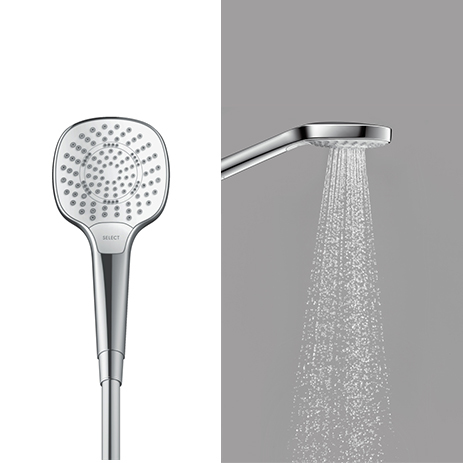 Croma Select showerpipes pamper the body with up to five jet types (two on the overhead shower and three on the handshower) – a completely new shower experience for many users. 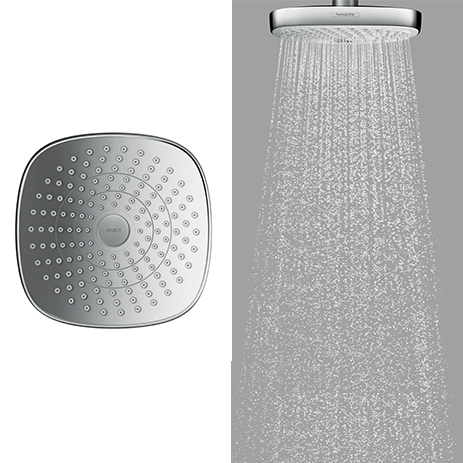 The water flow and temperature are controlled by the high-quality Ecostat Comfort thermostat. The swiveling showerarm offers greater freedom of movement and added flexibility during installation. - Head with rounded corners (E). 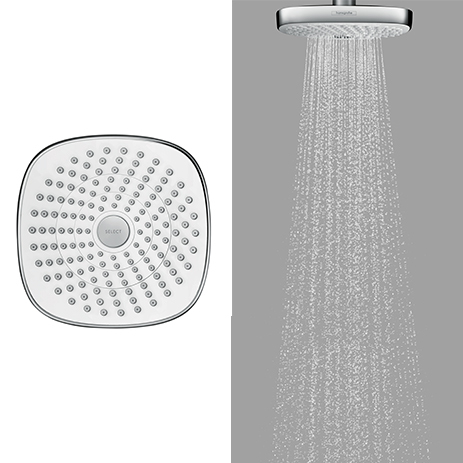 On the handshowers, the white/chrome finish provides visual highlights. This attractive interplay of colors offers many different combination possibilities with modern ceramics and faucets. All have an ergonomic handle design that enables one-handed spray setting. 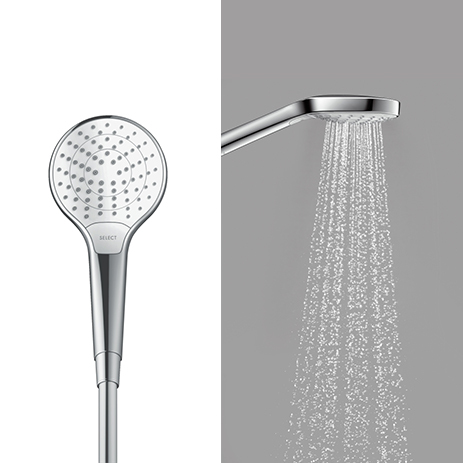 On the overhead showers, the large spray disc (Ø 180 mm) brings a new design language into the bathroom – plus a pleasurable shower experience with XXL Performance. Two surface finishes are available here – fully chrome-plated or in shimmering chrome and pure white. The pleasurable shower experience with Croma Select is particularly economical in the EcoSmart version: Thanks to the minimized water flow, your customers save valuable resources. The Croma Select 1jet only uses 7 liters/minute as standard. 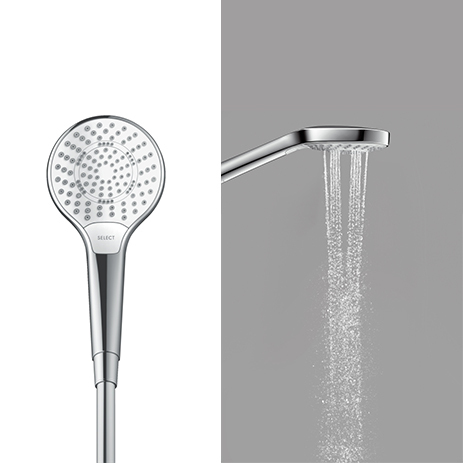 The handshowers and overhead showers are also easy to clean: Residues can be rubbed off in an instant thanks to the QuickClean silicon nozzles. All of the new Croma Select showers can be installed instantly – ideal for quick bathroom makeovers. 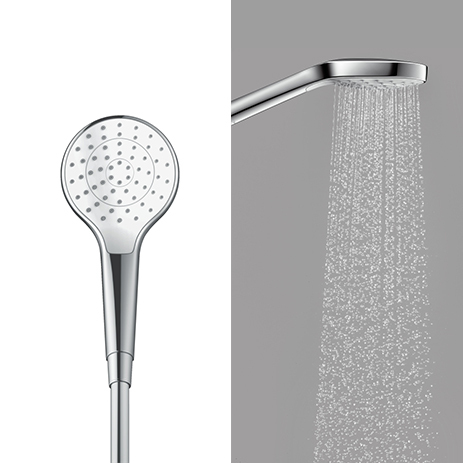 The showerpipe also impresses through uncomplicated surface-mounted installation. Simply install it on the existing water connections.